Rays of Sunshine Children’s Charity brightens up the lives of seriously ill children in the UK. Rays of Sunshine grants wishes for seriously ill children across the UK aged three to 18. Every day of the year the charity gives brave and deserving young people the chance to do something they have previously only dreamed of. Set up in 2003, Rays of Sunshine has since granted more than 5,000 individual wishes. 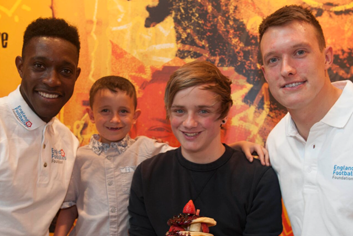 Wishes can be as unique as the children themselves and whether a child wants to go to Disney World in Florida, meet a real-life mermaid, be a fire fighter for the day or meet their favourite celebrity or football team, Rays of Sunshine works hard to make that wish come true. The charity also grants hospital ward wishes, which offer a distraction to hundreds of children during their time in hospital or a hospice. Throughout the year Rays of Sunshine also organises outings and events for large groups of seriously ill children including, parties, trips to theme parks, hospital activity/pamper days. 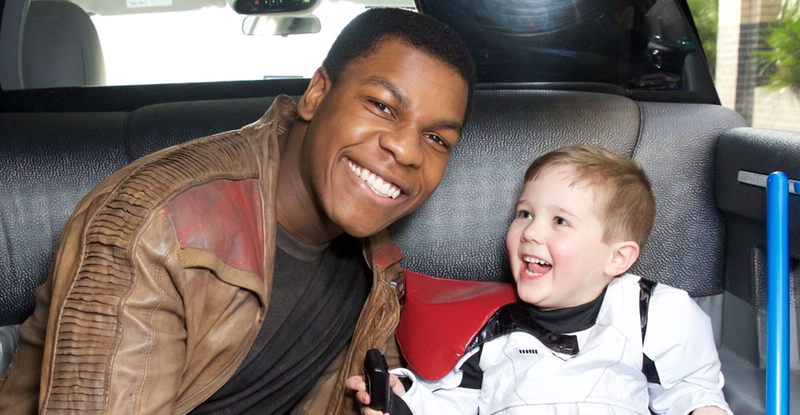 Rays of Sunshine and Star Wars actor, John Boyega granted a very special wish for five-year-old Daniel, who is currently living a Brain Tumour, to meet ‘Finn’ from Star Wars: The Force Awakens. Daniel chose to use his wish to brighten the lives of other seriously ill children when he asked to deliver toys with Finn to young patients being treated at The Royal London Hospital, run by the Barts Health NHS Trust. The BAFTA award winning actor jumped at the opportunity of making his dream become a reality. John arrived to meet Daniel as his character Finn from Star Wars: The Force Awakens for some one-to-one time before heading to the hospital. During which, John taught Daniel and his sister, Layla, some very special Lightsaber moves and tricks. Poppy is 13 years old and living with Williams Syndrome. 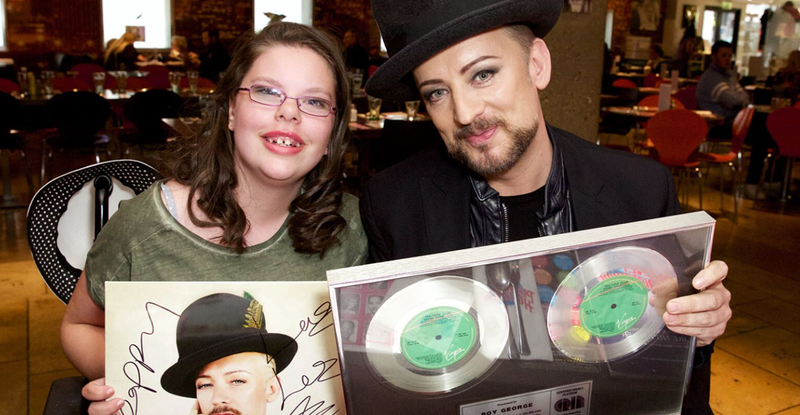 Her greatest wish was to meet the iconic singer-songwriter, Boy George. Rays of Sunshine arranged for her to travel to London from her home in Kent along with her family, for this special wish. Poppy was greeted with a warm welcome from Boy George, before spending some one-to-one time asking him all about his life and career. To top off the afternoon, Boy George presented Poppy with a very special gift; a signed copy of his double platinum disc of her favourite song; Karma Chameleon, and a signed vinyl album. Lauren is from Barrhead in Glasgow and was born at just 27 weeks. She spent the first year of her life in hospital and now lives with several health complications including a condition called Short Gut Syndrome. 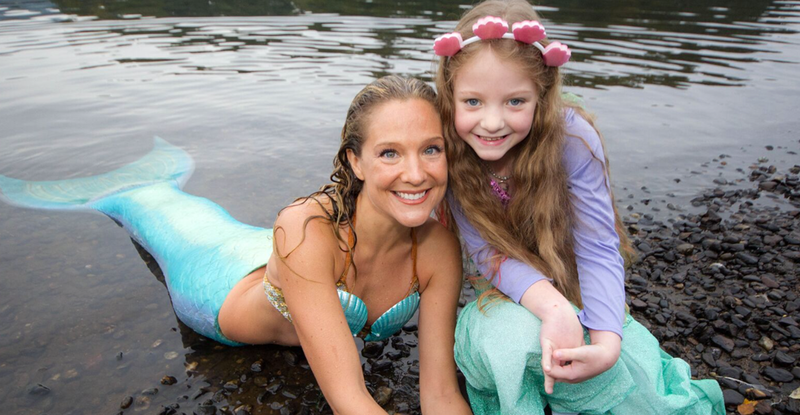 Lauren’s greatest wish was to meet a real life mermaid. Lauren and her family were collected from home and taken to the banks of Loch Lomond in a chauffeur driven limousine. The limousine stopped on the beach for the family to have pictures taken by the waiting sea of photographers. Suddenly a mermaid was spotted swimming towards the shore. Mesmerized Lauren walked towards the mermaid as if in a trance. Mermaid Linden shared special mermaid secrets with the enchanted 8 year old and presented her with her necklace. 12-year-old Dominic from Leeds, is currently living with Morquio Disease. 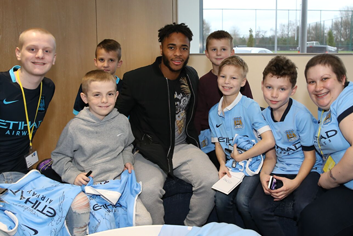 His condition requires enzyme replacement therapy at Manchester Children’s Hospital every week. 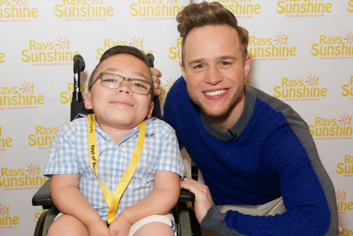 His greatest wish to meet, Rays of Sunshine’s ambassador, Olly Murs took place in London.